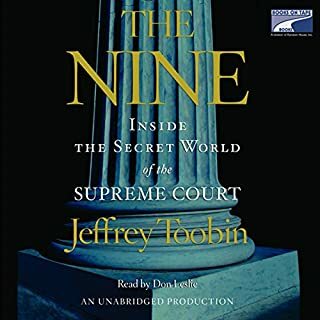 Based on exclusive interviews with justices themselves, The Nine tells the story of the Supreme Court through personalities, from Anthony Kennedy's overwhelming sense of self-importance to Clarence Thomas' well-tended grievances against his critics to David Souter's odd 19th-century lifestyle. There is also, for the first time, the full behind-the-scenes story of Bush v. Gore and Sandra Day O'Connor's fateful breach with George W. Bush, the president she helped place in office. Supreme Court Justice Stephen Breyer delivers an impassioned argument for the proper role of America’s highest judicial body. Examining historic and contemporary decisions by the Court, Breyer highlights the rulings that have bolstered public confidence as well as the missteps that have triggered distrust. What emerges is a unique approach - certain to be admired for years to come - to interpreting the Constitution. 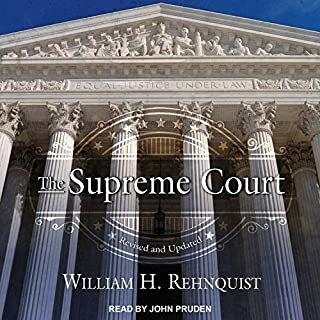 Chief Justice Rehnquist's engaging writing illuminates both the high and low points in the Court's history, from Chief Justice Marshall's dominance of the Court during the early 19th century through the landmark decisions of the Warren Court. Citing cases such as the Dred Scott decision and Roosevelt's Court-packing plan, Rehnquist makes clear that the Court does not operate in a vacuum, that the justices are unavoidably influenced by their surroundings, and that their decisions have real and lasting impacts on our society. 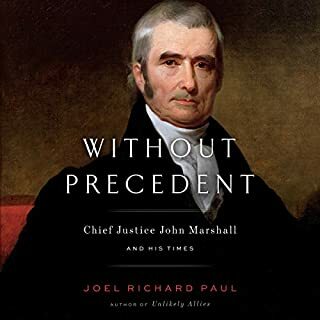 The first full-scale biography in 25 years of one of the most important and distinguished justices to sit on the Supreme Court - an audiobook that reveals Louis D. Brandeis the reformer, lawyer, and jurist, and Brandeis the man, in all of his complexity, passion, and wit. As a lawyer in the late 19th and early 20th centuries, he pioneered how modern law is practiced. Melvin Urofsky's major new audiobook looks at the role of dissent in the Supreme Court and the meaning of the Constitution through the greatest and longest lasting public-policy debate in the country's history, among members of the Supreme Court, between the Court and the other branches of government, and between the Court and the people of the United States. A leading Supreme Court expert recounts the personal and philosophical rivalries that forged our nation's highest court and continue to shape our daily lives. 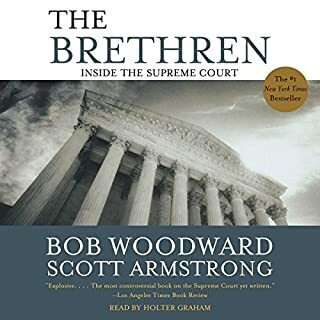 The Supreme Court is the most mysterious branch of government, and yet the Court is at root a human institution, made up of very bright people with very strong egos, for whom political and judicial conflicts often become personal. From the moment John Roberts, the chief justice of the United States, blundered through the Oath of Office at Barack Obama's inauguration, the relationship between the Supreme Court and the White House has been confrontational. Both men are young, brilliant, charismatic, charming, determined to change the course of the nation - and completely at odds on almost every major constitutional issue. One is radical; one essentially conservative. The surprise is that Obama is the conservative. When we think of Constitutional law, we invariably think of the US Supreme Court and the federal court system. Yet much of our constitutional law is not made at the federal level. In 51 Imperfect Solutions, US Court of Appeals Judge Jeffrey S. Sutton argues that American Constitutional law should account for the role of the state courts and state constitutions, together with the federal courts and the federal Constitution, in protecting individual liberties. 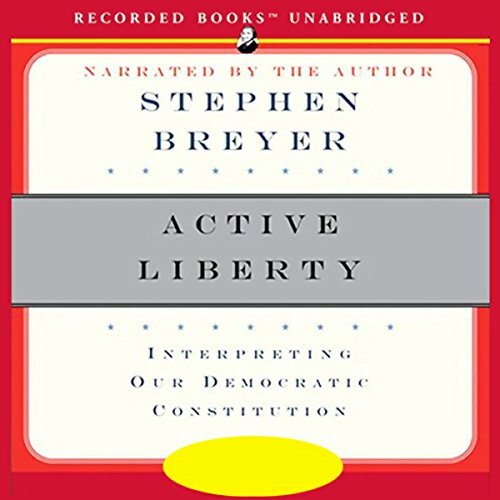 ©2005 Stephen Breyer (P)2006 Recorded Books, LLC. Maybe if you're a constituional scholar or lawyer, this stuff is easy to follow, but for a lay person, it wasn't quite as easy to digest. 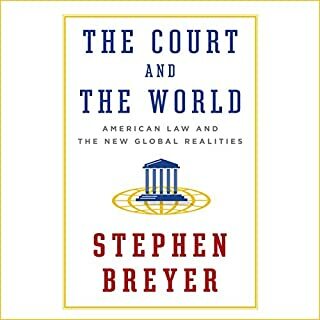 Still, I very much looked forward to hearing this book read by Justice Breyer himself, and I found his philosophies and justifications quite sound and very convincing. I will probably have to re-read this book several times to get every aspect of it, but I found the exercise very challenging and worthwhile. This is an examination of Justice Steven Breyer’s theory of Constitutional interpretation. In short, Breyer stresses the importance of legal analysis focusing on the drafter’s intent and practical goals, rather than an overemphasis on the plain text alone. He does this bearing in mind the importance of “active liberty,” an ancient concept meant to encourage civic participation by the public at large. A word of warning: This is book was written for an audience already comfortable with more advanced aspects of legal theory, not the general public. Because of that, I would certainly recommend it for attorneys or for someone interested in advanced Constitutional Law. If that sounds like you, there is a wealth of knowledge contained in here. Go for it! 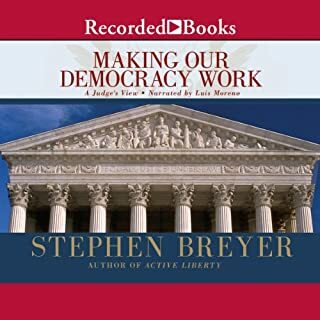 since i have no legal training, i too found breyer's ideas densely presented but still could detect the value of this audio, which is like having a very smart legal scholar spend time telling me what he thinks. with several listens, i will know far more than i did before and have spent my time well. i greatly appreciate breyer's efforts of forming up his thoughts and then presenting them in his own voice. his ideas help me to re-invest in hope that "truth will out" ... an excellent antidote to the "nattering nabobs of negativism" that stream from today's media.